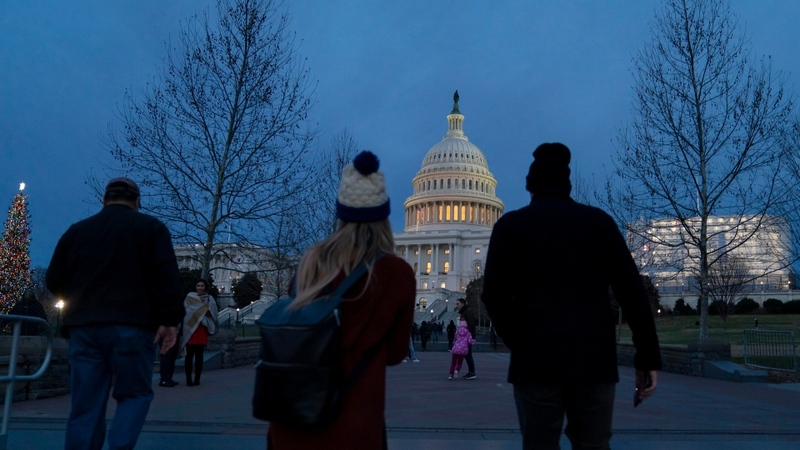 As the standoff between U.S. President Donald Trump and Congress stretches into its 21st day, the partial government shutdown is taking its toll on federal employees who have been temporarily laid off or forced to work without pay. More than 800,000 federal workers have been furloughed – or temporarily laid off or work without pay – since the shutdown began on Dec. 22. The prolonged dispute is primarily focused on the president’s demand for billions of dollars to fund his controversial election promise of building a wall along the U.S. border with Mexico. On Saturday, the partial government shutdown will become the longest stoppage in U.S. history – outlasting a 21-day closure during former president Bill Clinton’s administration in 1996. More than 800,000 federal employees – most of them still working – will miss their first paycheque on Friday because of the extended disagreement. As Trump continues to talk about declaring a national emergency in order to fund his border wall, more and more government employees have taken to Twitter to voice their frustrations with the stalemate using the hashtag #ShutdownStories. In one tweet, a woman who identified herself as an essential employee for the federal government explained how she’s been affected by the shutdown. “I'll get paid, but when?! We live paycheck to paycheck. I'm terrified we won't be able to pay our mortgage, student loans, and other bills next month if this shutdown continues. I've literally woken up from nightmares about it already,” she wrote. Roughly 420,000 employees who have been deemed essential to the operation of their departments will continue working throughout the shutdown, but they won’t be paid during that time. This group includes FBI, Transportation Security Administration, and other federal law enforcement officers. They’re expected to receive back pay once the shutdown ends, according to a bill passed by the U.S. House of Representatives on Friday. .
Another woman shared how her husband, who is a park ranger at Great Smoky Mountains National Park in Tennessee, was compelled to sign his furlough papers the day before Christmas. “We have no idea when his next check will come. We have a 4 yr old and a 4 month old. The mortgage is due, as well as land taxes. Oh, & Xmas,” she tweeted. The partial shutdown has impacted a number of U.S. government departments including Homeland Security, Justice, Housing, Agriculture, Commerce, and the Treasury. The U.S. National Park Service has suspended all activities – except for those that are essential to responding to emergencies – for the duration of the shutdown. That means that services such as open public washrooms, garbage collection, road maintenance, and information centres have ceased. A stark example of the loss of these services was no more evident than outside of the White House and National Mall where waste bins have been photographed overflowing with garbage. On Tuesday, the National Park Service announced that Joshua Tree National Park in California would close because of concerns about trash and environmental damage due to a lack of staff. However, the next day, the park said it had freed up some additional funds to bring back its maintenance staff. On Friday, Miami International Airport said it was closing one of its terminals for the weekend because security screeners have been calling in sick at twice the normal rate. A spokesperson for the airport told The Associated Press that they were concerned there wouldn’t be enough workers to handle all of the checkpoints over the weekend. Terminal G is expected to close early Saturday afternoon and will reopen briefly Sunday morning before it closes again later that day. The airport said they may be forced to close additional checkpoints at other terminals if the shutdown continues and workers don’t come in to work. Last week, the U.S. Transportation Security Administration said the number of its employees calling in sick had increased during the partial government shutdown. TSA workers are expected to work without pay during the shutdown because they’re considered essential employees. On Friday, TSA spokesperson Michael Bilello tweeted that the agency had experienced an unscheduled absence rate of 5.1 per cent on Thursday. On the same date last year, the absence rate was 3.3 per cent, Bilello said. Bilello acknowledged that wait times may be affected, but said security standards have not been compromised. The effects of the partial shutdown have been felt north of the U.S. border as well. On Jan. 3, Statistics Canada announced their monthly record of Canadian and U.S. trade imports for the month of December may be impacted. The United States Census Bureau has been closed since the shutdown began and as a result, Statistics Canada said they have not yet received data for Canada’s exports to the U.S. in December. The Canadian agency warned that a prolonged shutdown could impede their ability to release a “complete picture” of the country’s international merchandise statistics for December. The report is scheduled for publication on Feb. 5. As Canada’s “most important trading partner,” the U.S. import data is important for ensuring accurate trade statistics and reducing the administrative burden on exporting companies, Statistics Canada explained. The trade data for November 2018 was still released – as planned – on Jan 8. Anyone who had hoped to visit one of the U.S.’s many national zoos or museums during the holiday break was also sorely disappointed as they too suspended operations after the shutdown was announced. 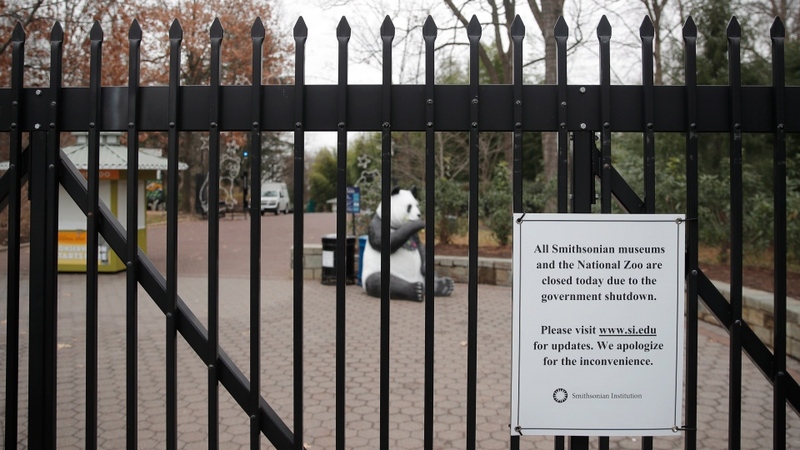 The National Zoo and its livestreamed animal broadcasts, including the beloved panda cam, has been closed to tourists. The animals, however, are still being cared for during the closure. The National Air and Space Museum, the National Museum of African American History and Culture, the National Museum of Natural History, and the National Portrait Gallery have also all been shuttered as a result of the dispute. Scientists, too, have felt the effects of the partial shutdown. In numerous tweets, researchers employed by the federal government have complained about how they have been barred from labs and grant funding for their projects could be jeopardized if timelines are delayed. “Reminder: Thousands of scientists are barred from their #research while the #TrumpShutdown is in effect. Untold numbers of delicate experiments are ruined, with countless others set back significantly. 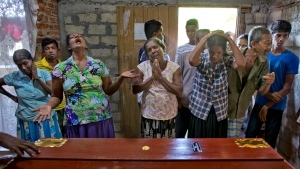 This idiotic action is actively hurting US innovation,” one volcanologist wrote. “I’m worried for the next generation of researchers. What happens to all the graduate students whose applications for NSF funding are in limbo?” another commenter said. Trump and congressional leaders are expected to resume talks on resolving the partial shutdown at the White House on Friday. Employees of NASA have also been relegated to the sidelines as they wait for the government shutdown to be resolved. One NASA engineer named Holly tweeted that she didn’t receive her paycheque on Friday. “For the first time in almost 20 years, I have not received a paycheck. My mom always reinforced how important a college degree was, especially for women to be able to take care of themselves and be independent. I never wanted kids. I wanted a career. At NASA,” she wrote. Another NASA employee said she’s been furloughed from her job as an International Space Station flight controller at the Johnson Space Center in Texas. “Finishing night shift @NASA_Johnson Mission Control is usually a great feeling after a really cool week of work, but pretty sad to change my out of office message from "I'm on night shift" to "I'm furloughed,” she tweeted. Astronomers hoping to catch a glimpse of NASA’s space-exploring plane at the 233rd Meeting of the American Astronomical Society were sorely disappointed this week when its appearance was cancelled because of the shutdown. Along with the plane, hundreds government scientists, themselves, have been barred from attending conferences, including one hosted by the American Meteorological Society in Phoenix and another by the American Institute of Aeronautics and Astronautics in San Diego.